Picking up my new ride in Albuquerque. This is almost as much fun as flying a computer simulator. First stop, Reserve New Mexico. This is the time that keeps us very busy and frequently out of contact with the rest of the world during our work day due to the remoteness of where we are. Fortunately we do get to come in to town to get a hotel in the evening. Recently we've been on the WS Fire just southwest of Reserve New Mexico. Sometimes if it's slow, we get to sneak off to Carmen's for lunch. After the WS fire in Reserve, we were called down to the Horse Canyon fire about 30 miles West of Carlsbad New Mexico. This is the "White Sands Missle Range". We got special permission to fly directly over it while en route to Carlsbad. Cierra checks out the available space in Des's Huey (205A). Looks like she's thinking, "No more Astar's for me". While on the Horse Canyon Fire, I was called to do some crew shuttles and long line work for the National Park Service on the Dog Fire. 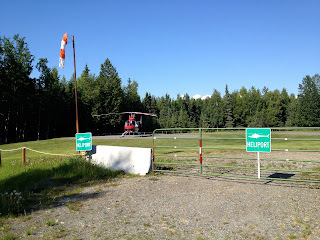 I picked the Park Service crew up at Pine Springs Helipad in Pine Springs Texas, just south of the New Mexico Border. 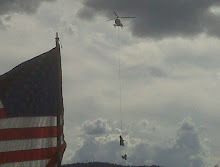 After the Horse Canyon Fire, it was off to Springerville AZ to help out the crew there with IA. (Initial Attack). Stopping at TRC (Truth or Consequences) New Mexico for Jet-A. 9AT parked for fuel at Truth or Consequences, New Mexico. 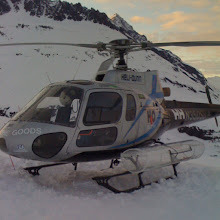 Well it's another season of helisking in Valdez Alaska. We've been blessed this season with incredibly great weather so far and lots and lots of fresh snow everywhere. Every year I fly from the lower 48 to Alaska and back several times. I never get tired of the trip because of the shear endless beauty. 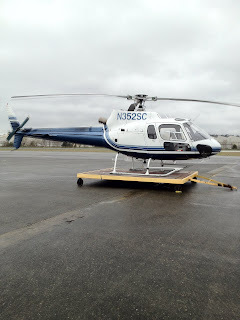 This year leaving Bellingham WA the weather was quite low. As ATC directed us over Vancouver we couldn't help but wonder what the people below thought of the pair of helicopters skimming across the tops of buildings at almost 200 mph. The weather didn't improve much through most of Canada. This is in a small channel approaching Prince Rupert Canada, about 45 minutes from the Alaska Border. Flying along the coast line near Cape Spencer, about mid way between Juneau and Yakutat. Last month I spent a week in Renton Washington for 135 training prior to heading up to Valdez Alaska for another season of helisking. 2 Sierra Charlie. 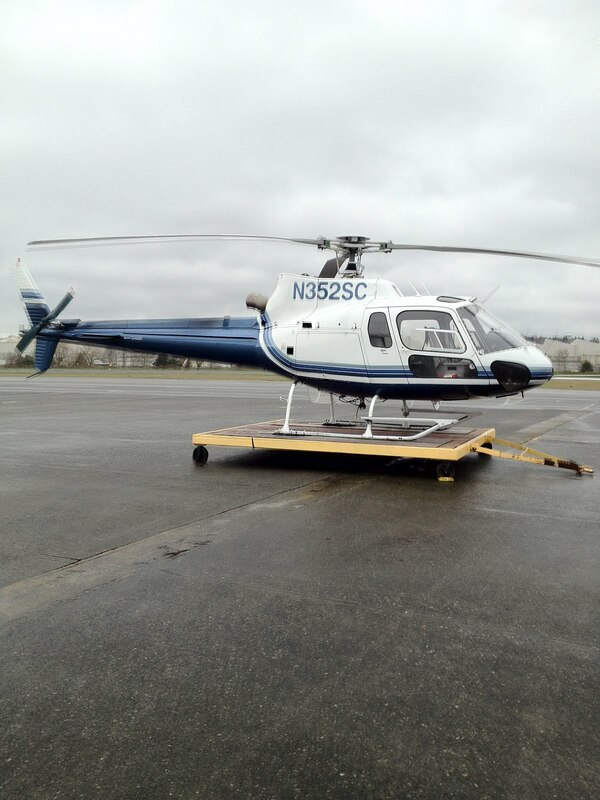 One of the 3 helicopters that will be going up to Valdez for the heliski contract this year. We used 2SC to do our 135 training in. 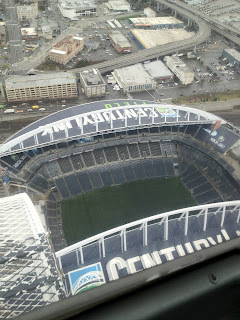 Flying over Century Field in Seattle WA. 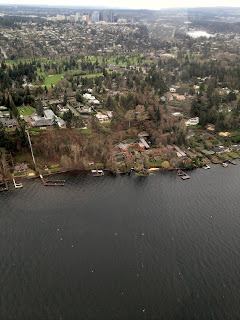 Bill Gates (of Microsoft) house with his modest 68 car underground parking garage. 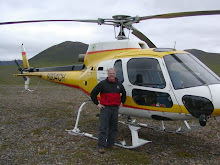 Once the training was complete, I had a week off before picking up the helicopter in Los Angeles and flying up to Valdez.